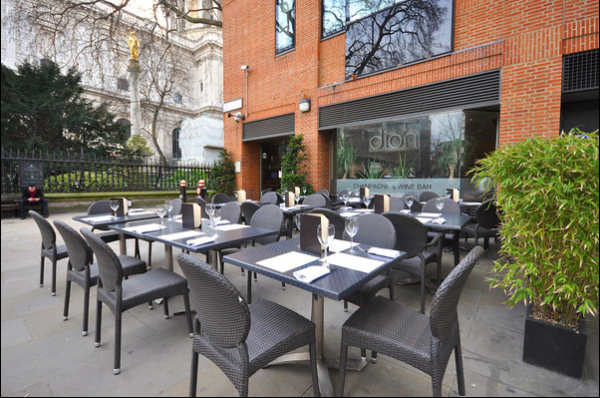 dion St Paul’s runs parallel with St Paul’s cathedral and has stunning views overlooking the cathedral and grounds. It has a capacity of 300 with ground and basement level, and an outside seating area – the perfect setting to enjoy your favourite tipple. dion can reserve areas for you within the main restaurant and bar or alternatively offer a more private space or exclusive hire as required. dion is offering privilege card holders 15% off the total lunchtime bill (food and drink), Monday to Friday. To redeem the offer, show your privilege card on arrival or mention when making a booking over the phone. Tel: 020 7248 8880.